I was just reading an old thread where Jim mentioned the dihedral on his beloved Dragon. I started to wonder about it. I'm pretty new to CL, so please bare with my ignorance. Dihedral effects roll stability, but CL models dont roll. They always fly with level wings relative to their path. And the lines guarantee that. So, dihedral doesn't effect flight characteristics between upright and inverted flight? Only incidence does? Also, does Wash in/out do anything? Well other than create drag? In short, the main purpose of dihedral in a control line model is to better locate the lead out exit in relation to the vertical CG of the airplane. If you look st some semi scale stunt models of the P-51, you will see that a lot of them use dihedral in an effort to have the wing low enough to more look like the real airplane, and the real airplane also did have some dihedral for extra roll stability as you have mentioned. If you didn't do that, the airplane would most likely fly with the outboard wing tip down. There are many old designs that have low wings that if built and flown with a straight wing mist be countered with longer, heavier wheels and landing gear to get the model to track straight. I have never had to deal with a sever case of this, so I don't know if tweaking a flap can have a positive or adverse affect on the trim. A few years ago, I built a profile semi scale model of the crop duster airplane that is painted up to look like Dusty Crophopper from the movie "Planes". It was basically a SIG Twister that I modified pretty heavily. In order for the model to look more like the real airplane, which has significant dihedral in the wings, I needed to do that ion the model also. I dropped the wing center line as low as I could with the space I had, which was about 3/4 of an inch. So to make sure the airplane tracked and handled as good as a Twister normally does, I put in the same amount of dihedral in each wing . Once that is done, the model is flown and trimmed as per normal, and you do not notice anything at the handle. Search out images of Al Rabe's semi scal models, as they all had some dihedral in them, and there are many in flight shots of them in circulation that show how they look out on the lines. As far as wash in or wash out, that is never used on a stunt model in the way that it is used on a free flight or R/C model. The closest that a C/L model get to that is the flap tweak that I have already mentioned, but is not the same. Control line models do have to deal with roll stability in the manor that they can resist too much rocking and rolling in rough air. That is mainly addressed by working to keep the tips of the wings light and balanced to reduce what is called 'barbell effect", and by wing tip shape and airfoil thickness. As a model goes through rough air and it wants to roll, the less weight keeps the roll rate down, and a straight, clean wing tip and airfoil will hopefully fly through it with minimum effect, and return to wings level in a hurry. I hope this helps. Thank you for the informative reply and the warm welcome. Design on CL models are very out of the box engineering for newbies like me. Very interesting, and very sensible. My experience in CL hasn't past 1/2a profiles like the CG stuntman and such. And that was back in the early 80s! As far as incidence goes, I've noticed stunt designs just shoot for 0* all around. Are there any models, past or present, that deviated away from that rule? Even better, do you know of any CL planes that have adjustable incidence? Unfortunately, the lines don't guarantee that at all, and controlling the roll is a tricky issue that people rarely master. If nothing else, the lines whip around during maneuvering, you have to start a corner with the lines going horizontally, the corner ends with the airplane going vertically, so at some point you have to have the airplane pull them from one state to the other, and that tends to induce roll and yaw. And it's not like they are rigid rods, one end might be going up and the other end mught be going sideways, and they oscillate in all directions. Regarding dihedral, you have fairly strong dihedral effects even when the wings are straight. Roll and yaw are very heavily coupled, both through the lines as above, and through the aerodynamics. The spinning prop acts like a gyroscope, causing yaw effects when you (very rapidly) pitch the airplane, that makes it want to yaw, that causes roll, which changes the line tension, etc. The prop also has what is called P-factor, essentially, in a corner, one prop blade acts like it has more pitch than the other prop blade, causing a different yaw torque, maybe in the same direction as precession, maybe against it and always changing. You can do a bunch of different things to deal with these issues, passive yaw control, open-loop yaw compensation, and people have at least considered actively controlling it with a gyro and a feeback system. This is a very complex subject and we spend more time talking about trimming than almost any other topic, and correctly so. It's a very good question with no simple answer. You can use actual dihedral in airplanes, either for appearance or for putting the leadouts in the correct vertical position (so it doesn't have to roll to align the CG with the line tension, with other supposed effects that no one has ever been able to adequately explain). Given the above issues, small amounts of actual dihedral is perfectly fine and causes no inordinate problems if you can solve the rest of the issues. Is this the reason the out board wing is a tad bit shorter on some designs? The theory is that it flys a little faster than the inboard, and as such, would produce more lift and cause the model to "roll in" towards the center. I reality, it seems that there are a lot of variables involved. Building a symmetrical wing and just slightly offsetting the fuselage to the outboard a very small amount works. And it offsets the weight to the outside, so less tip weight needed, in theory. I had to have the MonoKote joke explained to me as well. 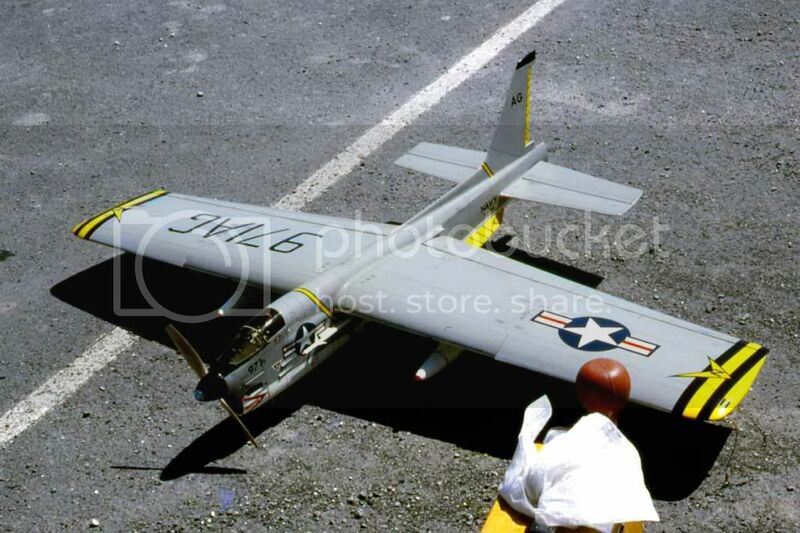 I guess some guy approached Larry and his plane had such a perfect finish that an RC(?) pilot observer asked what color of MonoKote it was, or something to that effect. Apparently, it was in front of a group of his peers, and the ribbing started from that point onward. (I think). I had a SIMILAR experience...… I was shot point blank accidentally on a sportfishing boat. Got a "free helicopter ride" by the USCG to the nearest hospital. The bullet went through my kidney, colon, and liver, and into a passengers' lung that was standing on the stern of the boat. He went with us in the Helo, as well. The charter Master came to the hospital to visit his buddy that took the bullet to the lung. He came to check on me. He said to me in the room, in front of the crew visiting me, "Chris, I sure am sorry about what happened. I was just down the hall visiting Dave, and he still has the bullet in the edge of his lung, they are afraid to take it out. You really didn't slow it down much, it went through you like you were a paper TARGET!" I think Larry is lucky. Me, not so much! LOL. No. That's a different effect (although it plays into it). The outboard wing goes a little faster than in the inboard, so if you have equal span wings, the lift is centered a little to the outboard side. If you want it in the center, then you need to make the inboard wing have a little more lift and drag than the outboard, so you make it a bit longer. It's not a huge effect. Say it's 70 feet from the center of rotation (where you pivot) to the center of the airplane, and the airplane is nominally going at 5.4 second laps. The fuselage goes about 440 feet in 5.4 seconds, or about 81.4 feet per second (55.5 miles/hour). If the span is 5 feet, the inboard tip goes about 78.5 feet/second, and the outboard about 84.4 feet/second. The outboard is about 7% faster, which (ignoring the other factors) would be expected to give about 15% more lift and drag. Of course the tips are the extremes of the example, and the overall effect is less. Without doing a lot of work, whenever I look at it, for a 5 foot span airplane, you want something like 3/4" shorter outboard wing than inboard, more or less. You can make it work about as well with anywhere from 0 (equal) to maybe 1.5", but you'll definitely be able to tell the difference. Equal span will generally require *much more* tip weight, since you need to shift the center of gravity about 1/2" to the right to line up the CG and CP. Too much and you might end up putting weight on the inboard to shift it left. In short, the main purpose of dihedral in a control line model is to better locate the lead out exit in relation to the vertical CG of the airplane. Think it depends if the aerodynamic side loads exceed the gravitational / g force . Thus perpendicular leadouts get perpendicular aeroplanes . and as somebody didnt trim the T E fore & aft to mate the straight plan line , it forced 2 mm washout on the 57 span FSR 40 / G 51 , version . Current 67 in is unchanged anywhere , as V smooth in coastal winds , and a tight Sq Cnr . A octave or two more responsive , or more tippy toey - Inverted . Presumably the Wash IN inverted has the LIFT at the earth side and other things over - is my perception of that idiosycrousey .However its spelked . Other is marvelous though under the top loop in the V - 8 , alowing you to ' Hit ' the Control shift to the lower inside seemingly with all the time in the world . A Martin Baker MB 3 , done with Al Rabes Formular and Airfoils , 20 Oz Sq Ft loading , seemingly flew itself ' on the line ' through the pattern . It didnt have the Anti Yaw rudder , which in This Case in hindsight was careless . Regularly flow in good sailing weather , Never hit the deck . Ordinarilly the full schedule , all but a few flights opening the wing joint with repeat Squares in a stiff breeze . like anyone else . Only ever one picture , still got the plan . Never shoulda given the wings away . Like the Mewgull empenage . Wich was kindova Sweeper Or Adaminsin like devise , with abit of Beringer thrown in . That Also was good , smooth , stable in wind . Bar a 2 foot tip osscilation through the ' Wind Shear ' 60 ft up crosswind , on the coast . Blowing like stink . convertable to , saw it go to livelier with the diheadral . Bit like going from a round to a Trigonic Tyre . As in lighter control response. No other changes whatsoever other than leadouts refed parrallel again . Or is that tangental ? , Flat Anyway , Er Perpendicular , even . Then theres the P-38 . where if your not carefull , or out of trim , Mush on insides , as the airs forced outward, at entry & exit . Youll notice this if the speeds off , outside its comfortable area . GENERALLY its not a bother . Wether one automatically compensates I couldnt say , but you do deliberately when / if its ' off song ' , propellor wise , motorvationally that is . So, dihedral doesn't effect flight characteristics between upright and inverted flight? As Brett said above, line tension helps keep the wings level, but a number of other phenomena conspire against it. One of these is rolling moment due to sideslip, which dihedral is famous for exploiting. Here's an explanation: https://nptel.ac.in/courses/101106043/027_Chapter%206_L19.pdf . The author calls rolling moment due to sideslip C'lβ. This article is of limited use if you're not familiar with the other symbols (Google "rolling moment due to sideslip" for additional info), but Figure 6.2 shows why having a low wing is like having negative dihedral, and having a high wing is like having positive dihedral. Full-scale airplane people pick a wing location for some practical reason, then compensate with positive or negative dihedral to get the desired flight characteristics. I like to show the pictures I showed above to illustrate this. Positive dihedral causes the upwind wing to have more lift than the downwind wing. On a control line airplane, when you are doing an inside loop with the wind at your back, positive dihedral will cause the airplane to roll such that its top points away from you. Part of the lift causes line tension to increase. When you are doing an inside loop with the wind in your face, positive dihedral will cause the airplane to roll such that its top points toward you, reducing line tension. Reduced line tension reduces the restoring moment from the lines, allowing the airplane to roll even more, typically causing loss of control. Pick the combination of dihedral, wing vertical location on the body, and other stuff to give zero C'lβ. Then do what it takes to put the leadout location on the vertical CG. If you have the luxury of having the wing lift in only one direction, you can wash the wing in or out to get the lift distribution you want. We don't for stunt or combat planes that turn both ways. It's been a long time since I have read it, but an article that you may find helpful on C/L stunt aerodynamics is the construction article on Bob Gialdini's Olympic stunt model that was published in the mid 60's. It was republished by PAMPA in Stunt News several years ago. I don't think there was anything on dihedral, since the Olympic didn't have any, but there was a good description on the different forces at work on a stunt model. It's as good a place as any to start a collection of this kind of information for when it comes to trimming out a model. Paul Walker's Impact article has a very good flow chart for trimming. 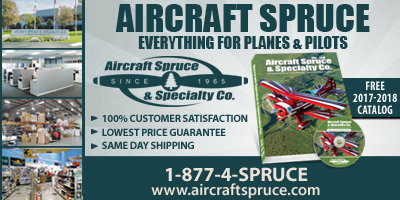 These might help you relate to the dihedral issue. You also asked about incidence. 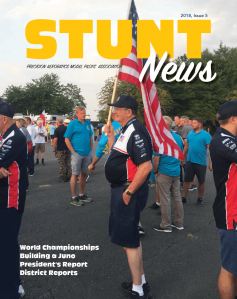 Several years ago, Bob Whitely, a former NATS champ and FAI stunt team member, wrote an article for Stunt News that was more or less titled, "Things that always work." The basis of the article was that Bob always sets up his models with the wing at 0 degrees to what would be the thrust line of the airplane. He sets the engine at 1 degree down thrust and 1 degree right thrust (been a while since I read it but I think that's correct.) The right thrust is to offset the torque generated by the engine and prop. The Down thrust is to offset the natural tendency for a model to climb even in 0-0 trim. He also sets the horizontal stabilizer at 1 degree or so positive incidence (leading edge up) and this is to offset the prop wash pushing down on the stab, and also the natural tendency for the model to climb. I may be misstating some of that but I think I'm close. Since I have read that article, I have used that same set up premise on every airplane I have built since then, and they have all grooved very well and been really close to final trim right off the board. The rest of the model, of course needs to be straight and square or all bets are off. A model built with a mis-alignment in the thrust/wing/stab line up will require some sort of major adjustment in the stab or thrust line to compensate for it. You can shim an engine/electric motor, and cut and move a stabilizer, but unless you built a take apart wing, everything gets adjusted to the wing. There are also many discussions on the forums here about alignment, and the pendulum of what guys use has swung back and forth over time. If you have some old magazines with stunt plans in them, just look at the side views. Everything from 0-0-0 (thrust, wing,stab) to various other combinations. And in relation to the dihedral issue, you need to look up stuff written by Al Rabe, particularly his early Mustang and Bearcat articles and his movable rudder. He also has some CDs of his writings and photos available that will keep you busy reading over several winters, and I think they may have been established on the internet somewhere. And then there is the collection here on Stunthanger that has been building for the last ten years or more. I would wager that almost anything that you could come up with a question about, it has been covered here on Stunthanger. You just need to get comfortable with the search function and figure out the correct key words to use. Just think about it. Somewhere out there in all that information is that new stunt model that you have always wanted to build! Thanks Dan, This is a enjoyable site filled with knowledgeable people. It's actually too enjoyable. I haven.t worked on my planes all week! But on a positive note, I've found more answers than questions that I had. It's making me enjoy the hobby even more. I was planning to have CL as a side hobby, just have 2 or 3 planes to kick around from time to time. And keep going with my RC planes, but I'm finding CL a bit more alluring. Like the lines causing a roll effect but then transition to yaw in a climb. I never considered that. Or the outboard wing traveling faster because it covers a longer distance, and therefore generating more lift. This stuff is just crazy. Guys have Really overthought things way out of the box. It's like Quantum Model Aviation.. I love it!! I printed your last comment so I can look up those guys and articles. I have decent a collection of RCM and MAN. I think I have the complete 80s decade on those and a few odd MA from the 80s. They still had some CL articles then. I'll dig them out sometime. Maybe I'll even finish my planes sometime. V good turn when light . pathfinderish airfoil . but not as blunt . Almost Beringerish . Sharp L E . But then it never stalled . Wind was not its friend . But tracked superbly & accurately . A favourite to fly , in mild air .Evenings & the like . Thisisthe one , with 1 3/4 diheadral per side , was a no brainer . V consistant . Flew the same in any air . WELL , you know what I mean . Stayed out there . No Dramas . Bar needing golf shoes & stomping in heels so as not to get dragged away downwind . Control loads even with elevator ears . Only hiccup was a period of stutters into insides , Maybe the fuel up the backplate trick on the G 51 . 10 x 6 three blade black Tornado . Sunded like the top would blow off on the 10 x 4 . Irvine 40 with that was a turbine like marvell . Had what Id call a ' mass dampner ' on the elevator control too . So load ( with the ears ) was steady in gusty air . Not a hell of a thick wing , and was good in the ground effect haevyer blowing layer , tho you still had to watch it there . The 6 in pitch tends to bog in varieable speed gusty wind . Hence maybe a 11 x 5 3 blade for the G 51 .
inverted out of the wingover tore the outer wing off. " That motors making a funny noise " - was the pushrod rear end . Tart trashed it shipping here . Theres a replacement wing ' in store ' diheadraled . The new fusewent on the new elliptical on above .Which is still awaiting paint . First is Mr Lee Jnr's . And it does have diheadral & a swept T E . There a flash picture here on S H , ( in a Lee Eng post ) . Seconds the new Spit. , a Mk 9 . & the P-51 . Was a worry but ' dead zone ' elevator & 1/8 horn sorted it . the .015 leadouts are still a worry . Both've got the BELLCRANK up in the centersection . Just clearing the top sheeting . Sometimes you push it down while rotating the bellcrank to get grooves in the sheet , during construction . Believing the leadouts shold be horizontal , they are . Perpendicular to the vertical axis .- or AT the Horizontal Axis . Even . So the leaout guide in the lower tip determines the aquireable diheadral . As I think thisis about as basic and durable as you get . Therefore most accurate system . Unless you dont fly when the airs rough . You should about be able to pick the ' Lucky Boxes ' at the root of the flaps . the Arm ' walks ' across , Full Up to Full Down . Wing is Diheadral & Swept Trailing Edge . Pretty Standard stuff . are less complex , therefore more direct & better resistance to deflection under severe load . At right is plan view of flap , next left X section , next L Horn Arm end view , far left Plan of horn , reversed or other side . mirror even . The photos one top & one underside , but should be self evident . I think ' diheadral ' ships get pulverised in rough air no more than ordinary ' flat ' wing ships . Maybe the air flows around them a good deal better , on some anyway . Tho a interconected rudder is usefull at the top of the hourglass if working ' hard ' corners in hard wind . with the aft of trailing edge straight along the length of the horn , with a reinforcer / joiner to the front edge . Ideal Size for a .40 if you built it light . Ahem . But Astounding as it was , Tho I think it mayve been about 4.5 in wind , usually 4.8 , and 5.0 if going well in smooth air , at that loading. satisfactoraly . Got you attention having 2 kilo of G 51 wound up Free Flight in your near vacinity . only 1/2 in assymetry on the MB3 wing . Sheet Flaps and tail . Fuse was clunker planked overweight but sturdy . As I recall, The era of the Dragon and the Madman took place before the jet age where dihedral was minimal on airplanes like the F-86 and F-84 and. Mr Yates comment was simply "the models look funny with no dihedral''. Subject no.2. Does anyone have a copy of the 1953 edition of the AMA Rulebook. Since moving and lending out every thing I had for building and flying due to family situation I no longer have anything! Would like to get a copy of the pages describing the horizontal, vertical and overhead eights. A simple task and I will reward you nicely! Send to Don Hutchinson, 3401 Amador Dr. Apt 3403 Fort Worth, TX 76177. Many thanks! Is that your DH Comet? I think I've seen it posted on another website before. The images look familiar. If so, I have a couple of questions for you. I can PM them for the sake of leaving the clutter out of this thread.